The development technique of inversion simply inverts sequential intervals. 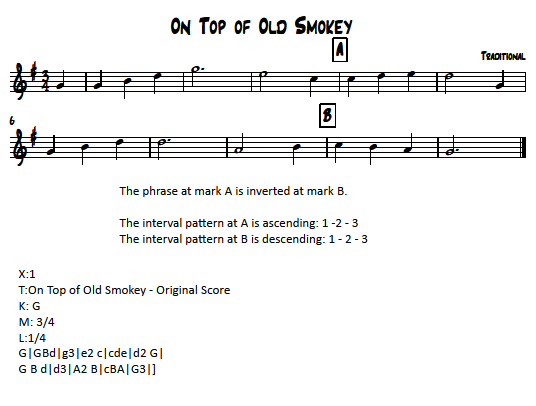 If the second note of the original motive or phrase is at an interval of a 3rd UP from the first note, invert the motive by making the second statement of the motive have its second note a 3rd DOWN from the starting tone. Continue this inversion process throughout the entire motive or for as along as the technique supports your objectives.